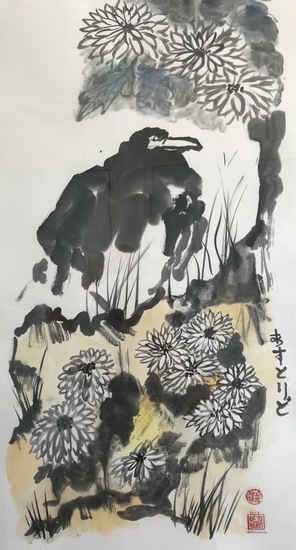 The Chrysanthemum, or Kiku in Japanese, is a symbol that represents longevity and rejuvenation. A crow can also be understood as a symbol of filial piety. Japanese folklore holds that a crow feeds its parents when they grow old in return for their care when it was young.